I was on the allotment over the weekend digging the back of the plot for the potatoes. Bright sun shining down, blue sky. It really felt like spring at last! One of my neighbours started rattling an old wheelbarrow down the hill and nodded in my direction as she stopped by the compost bins. "Hello there, heard about the rabbits yet?" "Oooh, there's a few around, big ones too, they've had the tops of my onions"
Great, just what we wanted! Rabbits!! If it wasn't bad enough with the mice, birds, slugs, snails and seasonal bugs... we now have rabbits. I could feel the blood drain from my face. 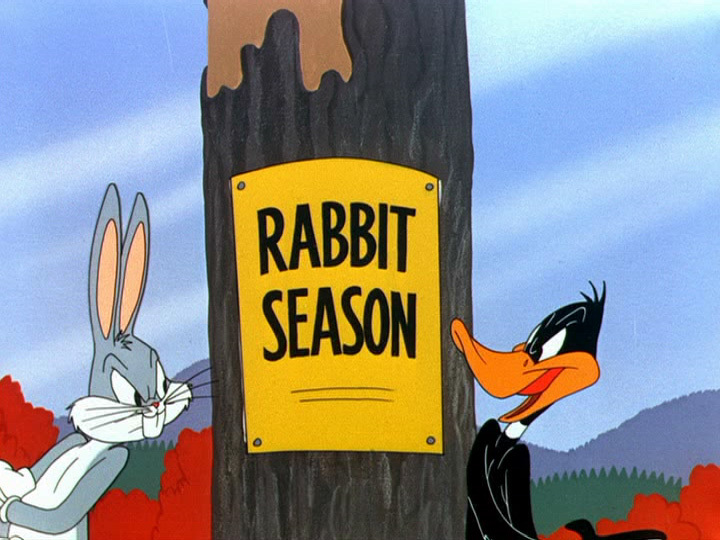 Basically, there is no solution for rabbits except for one. A large fence that runs at least 2 feet down into the soil. The Council won't deal with them as apparently "they're not a pest". I beg to differ. I would quite happily hold a banquet for all the slugs in Cardiff than deal with rabbits. They are the ultimate gardener's nightmare. They eat, literally, everything! I am officially worried. I haven't seen a rabbit yet but I also haven't seen the fox lately which was probably eating the wild rabbits. My neighbour behind me has seen one and I think he has noticed damage to his plot as well. It's not looking particularly good and I bet they're breeding as I type! There is one other solution but unless you're a fan of rabbit pie, I won't mention it! 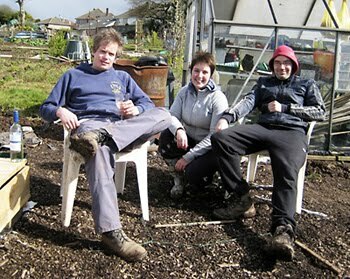 find out if they are on the allotment or near by then bring some ferrets and nets in before you are over run with them.